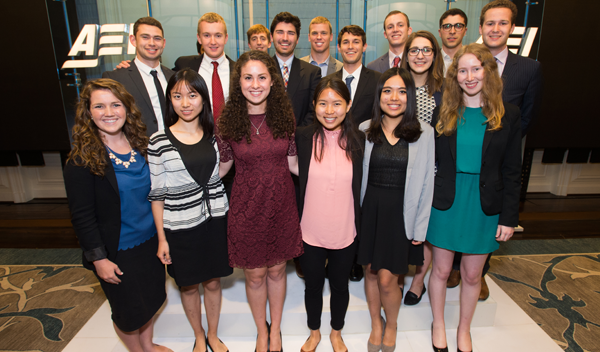 AEI connects top college students across the country with the ideas, research, and community of the American Enterprise Institute. Apply for our campus Executive Councils today to join the competition of ideas on your campus! The AEI Connector brings together top students connects top students to what AEI is doing, updating them with the latest AEI programs, opportunities, and key developments specifically for students. 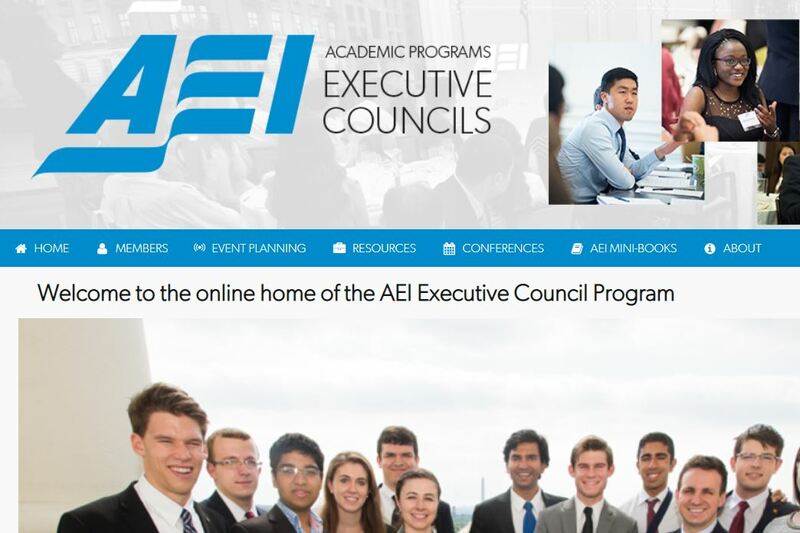 This is the private website for the AEI Executive Council Program. Only members can log in. 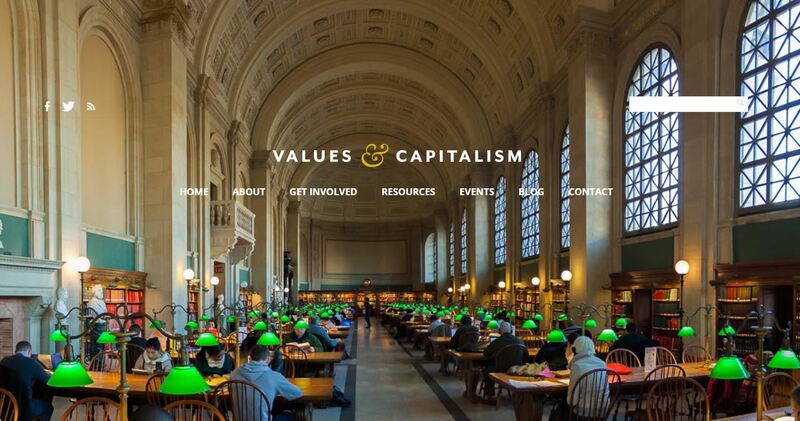 Values & Capitalism engages Christian higher education to advance a moral case for free enterprise and cultivate an understanding of the conditions necessary for human flourishing. 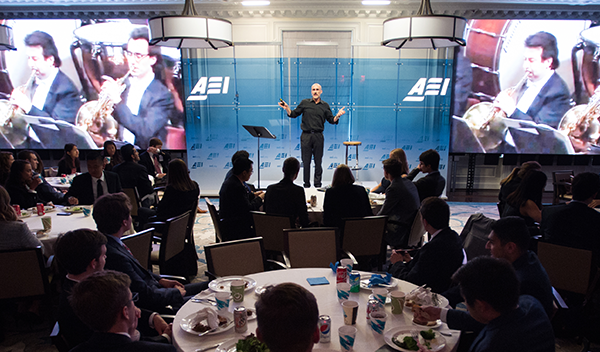 The conference brought 91 students from 57 colleges and universities to hear from AEI scholars, DC professionals, and other distinguished speakers. The goal should not be provocation for provocation’s sake — but to educate, challenge, and puncture the left’s lazy orthodoxies. The problem with the arguments in favor of economic sanctions is not so much that they are incorrect but that they are taken out of context. Absent a larger strategy—that is to say, one grounded in military power—trade is a weak means of compelling a competitor to do one’s bidding. On this AEI Events Podcast, Amy Wax of the University of Pennsylvania Law School joins AEI to discuss the state of debate and disagreement in academia today,reflecting on the value of reasoned dialogue and civil debate. Amy Wax of the University of Pennsylvania Law School will discuss the state of debate and disagreement in academia today and will reflect on the value of reasoned dialogue and civil debate. There are many competent and well-qualified people who work for the president because they think it is in the country’s interest for them to be there — sometimes because they want to encourage what they see as his better angels. But there is room for doubt that Trump has kept his campaign promise that his administration would feature “the best people in the world.” And it is likely that we are already seeing the highest-quality collection of people this administration will ever have to offer. Does ‘America First’ mean ‘Europe Last’? The purely “America First” strategy laid out in the NSS quite obviously runs the risk of decoupling US interests from that of its closest allies, thereby weakening the transatlantic link. In 1994, the Violent Crime Control and Law Enforcement Act barred American prisoners from receiving Pell Grants. As a result, the College Program at San Quentin was founded. Today, Jody Lewen is the Executive Director of the program, and she talks about her work in prison education with Gerard Robinson from the Center for Advancing Opportunity. Mike Pence in the Middle East: The new point man on foreign policy? Throughout his trip, Vice President Pence proved adept at navigating the complexities of Middle Eastern politics, while also providing a reassuring contrast to the ongoing obstructionism in Congress over keeping the US government operating. Free speech is under attack on many college campuses today, fueling a debate over the first amendment, political correctness, and the right to controversial or unpopular speech. With respectful dialogue across ideological lines all too often lacking on their own campuses, the program provides a unique opportunity for productive political discourse.